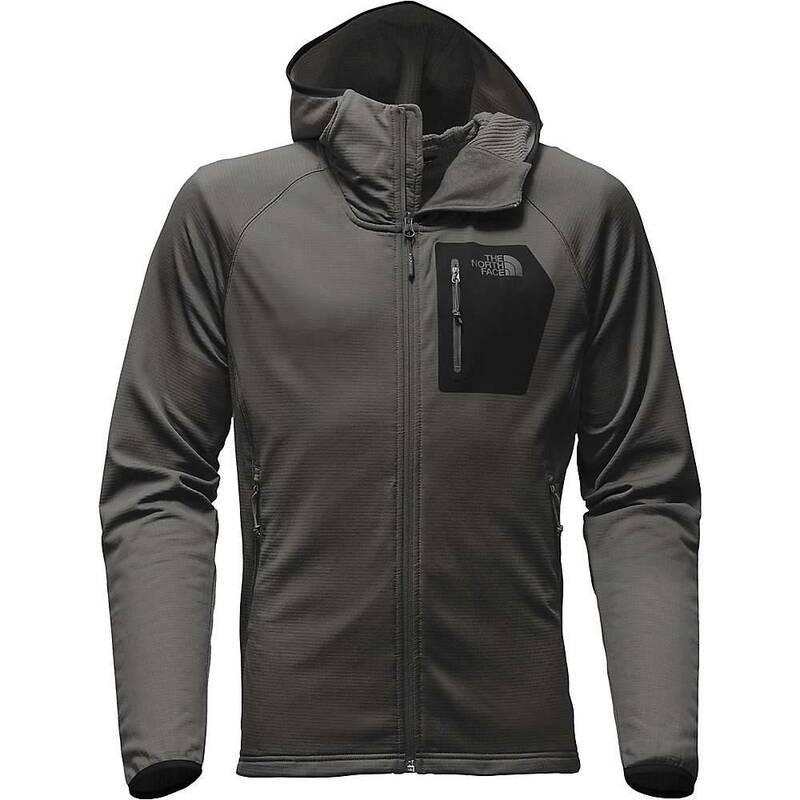 The North Face Men's Borod Hoodie is a stretch fleece to keep you warm while on the move. 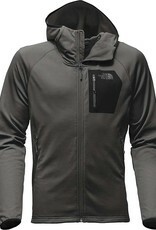 Adventuring outdoors often requires a jacket that'll allow you to breathe while still still keeping you warm. 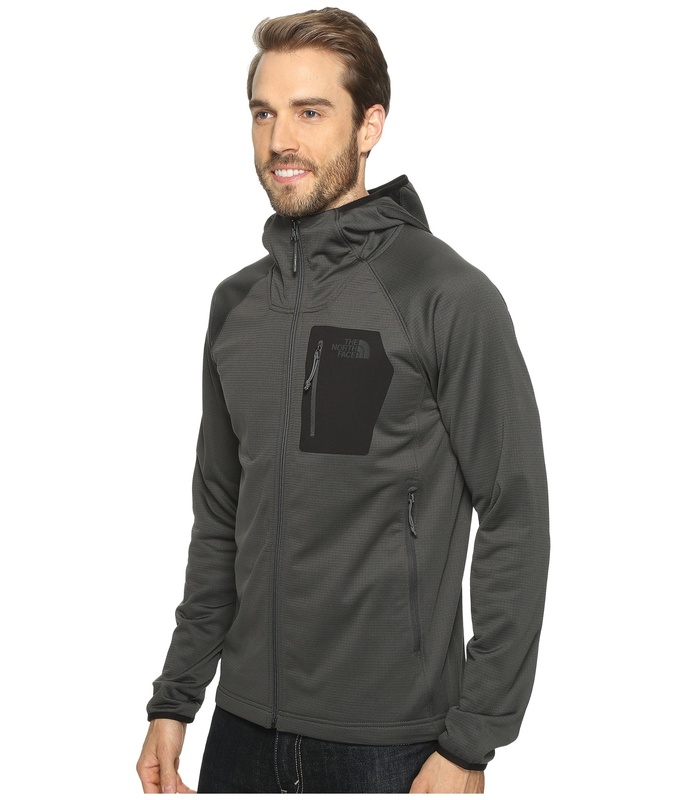 This gridded fleece hoodie does that and much more. The active fit runs close to the body, preventing you from catching loose fabric on gear, rock or tree while it also stretches to follow each and every arm and body movement. 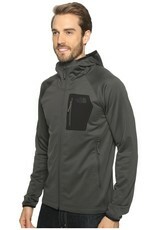 Go explore, snacks zippered into the hand pockets or chest pocket.